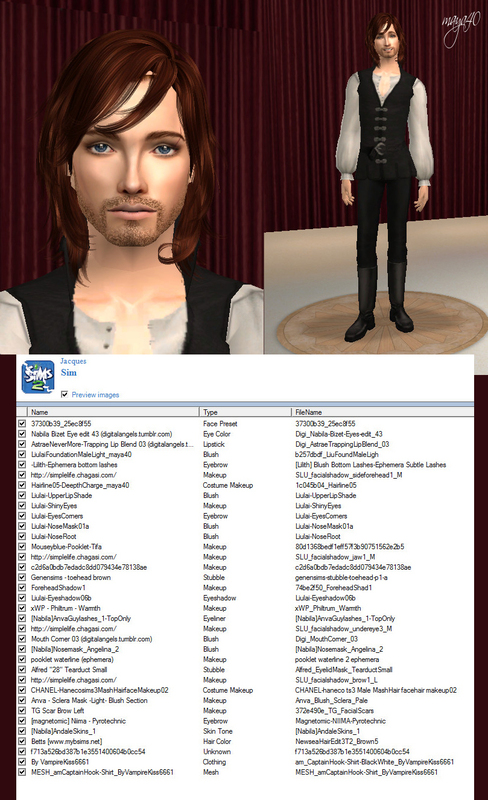 This stuff has been accumulated in my "Downloads - My Works" folder for quite some time. 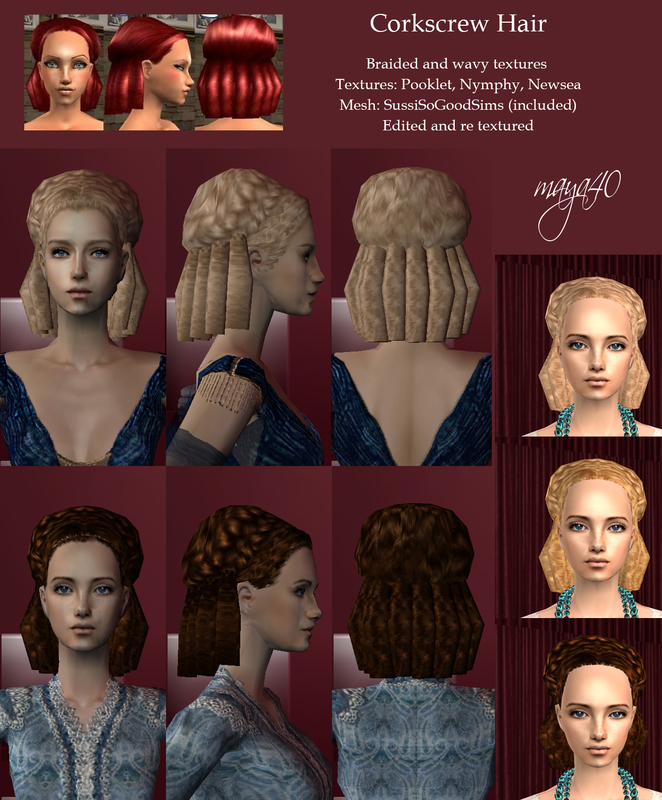 Only Custom Hair and just a few shades with Nymphy and Pooklet textures. If you like my ideas, continue on! 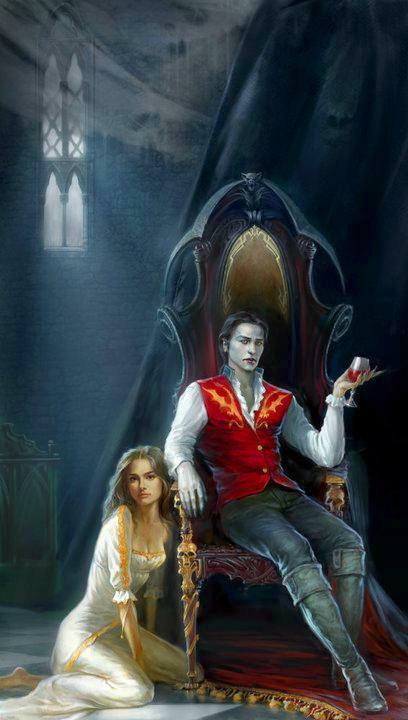 Count Dracula is a strange figure. There is a huge gap between history and fiction. There are probably many similarities. I just brought a fictitious vampire count. "The scrivener and the pharaoh guide the reader to the world of ancient Egypt. The story covers the seventeen years of Amenhotep's reign, illustrating that although this period was only a moment in the millennia of the empire's history, it marks an important stage in the way of mankind. first, that a movement consciously and consistently faces religion. In this novel I read about Nofretete,( Nofertete, Nefertiti) for the first time. Since then, a lot of time has passed, but my interest in them has not passed. 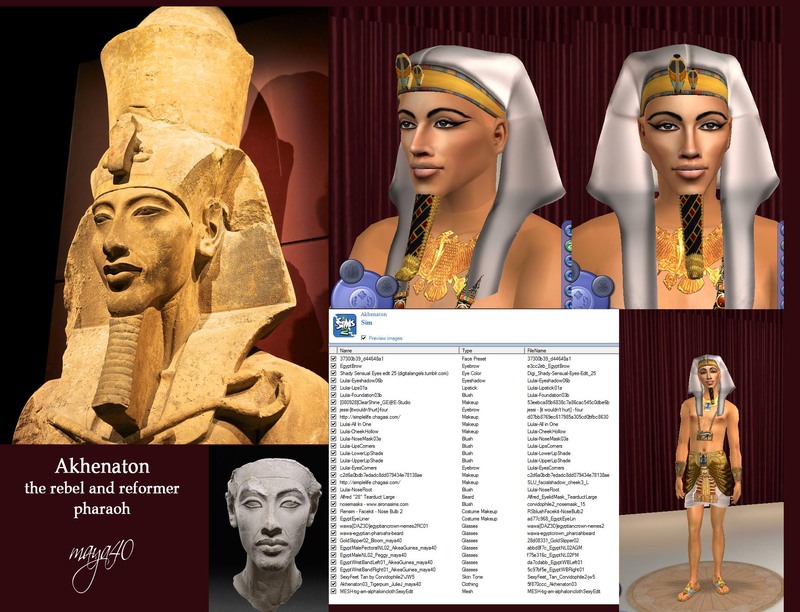 Nefertiti and her husband, Ehnaton-Akhenaton, are impressive figures of ancient history. 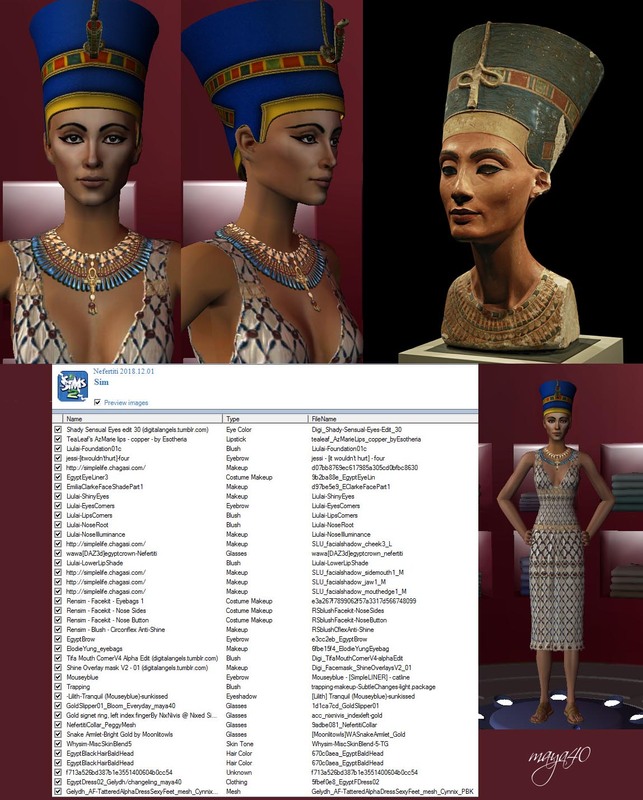 I made the sim version of Pharaoh and his beautiful wife based on their sculpture portraits. 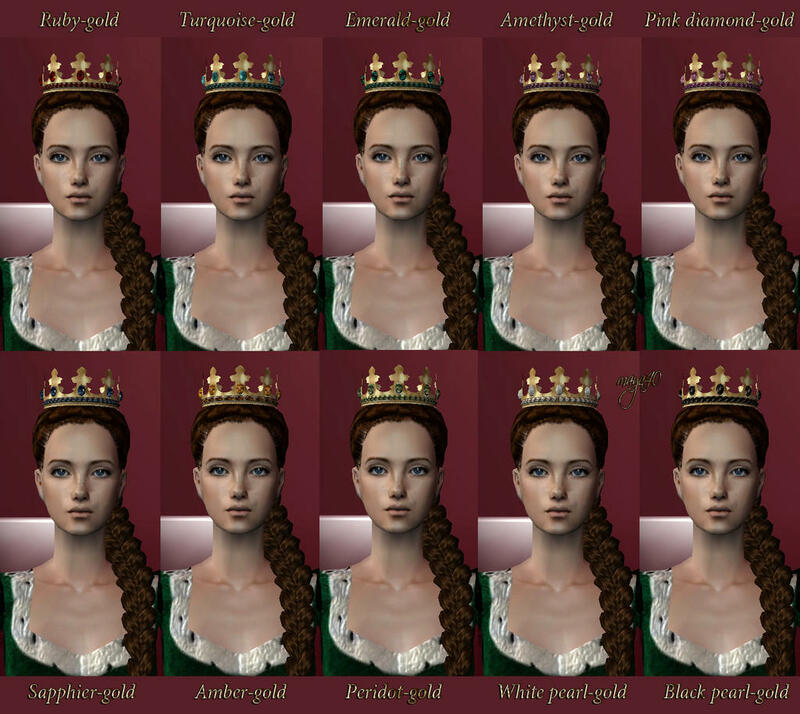 The Queen exists in two versions, the first even before the "era" of the Custom Sliders, the second is more authentic. 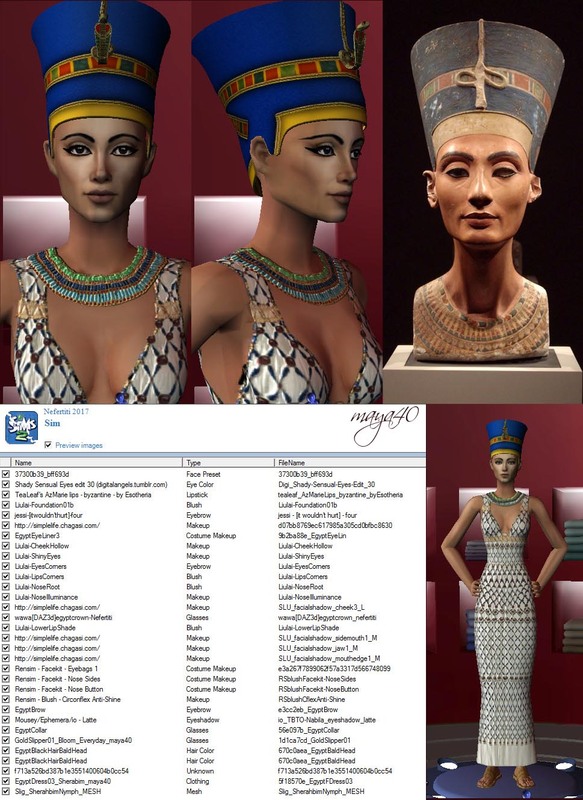 However, I saved the first one among my backups.I changed the light skin of Nefertiti 2017 to a darker shade when the new sliders refined their facial features That's how it was - I hope - the 2018 Nefer real Egyptian lady. I promised I brought it. 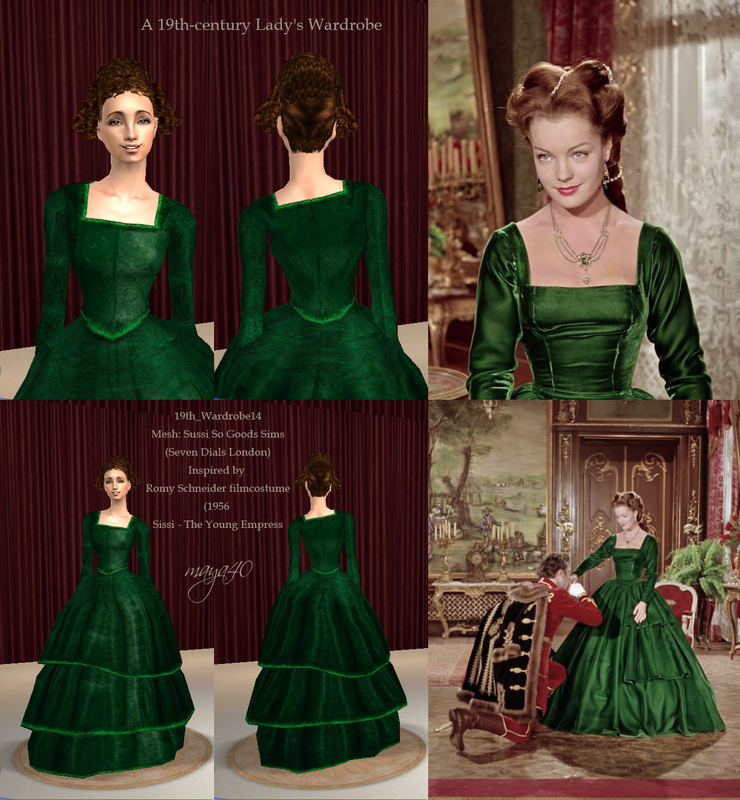 In my game, Henri, a french nobleman and two sons. Philippe and Jacques twins. Good and bad ... of course. Is there anyone who doesn't know him? 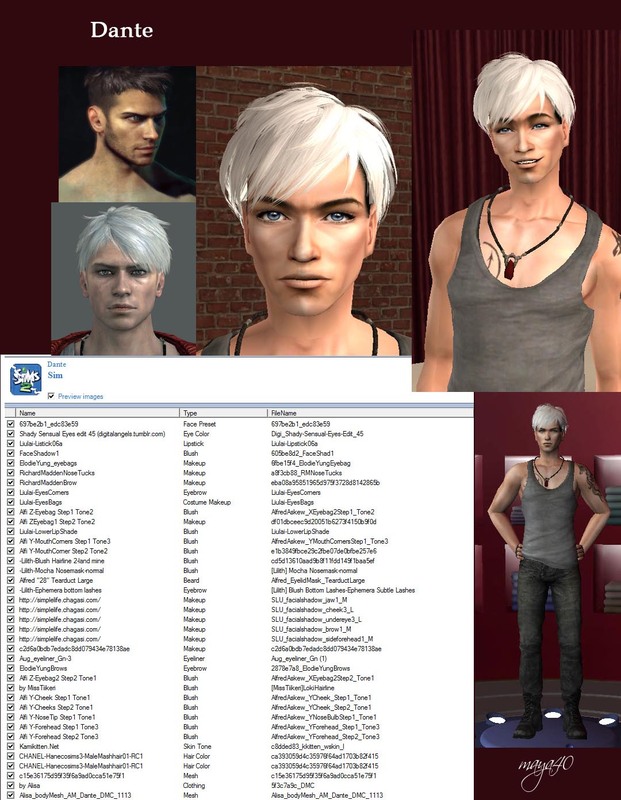 Although I never played with DMC, this great character really liked me, so he became a sim. After many years of experimentation, I finally managed last year. 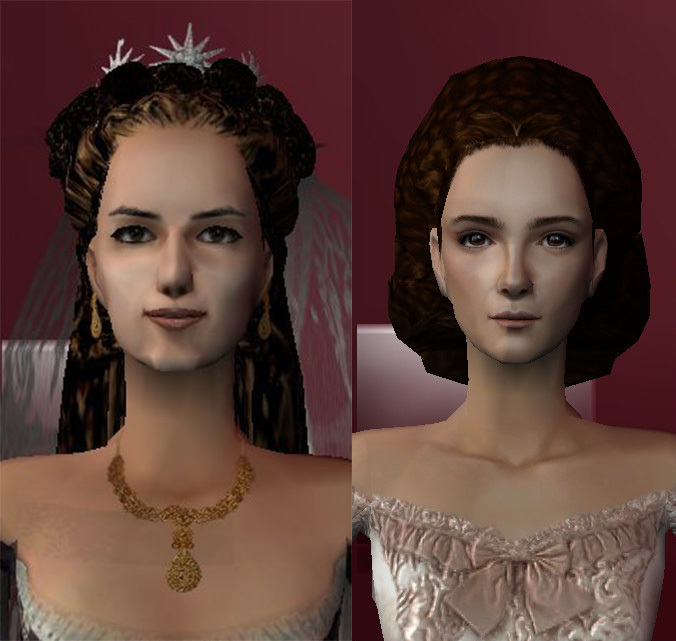 Custom Sliders and new face effects make Sisi's face almost realistic. At least compared to the beginning, I think it is much better. 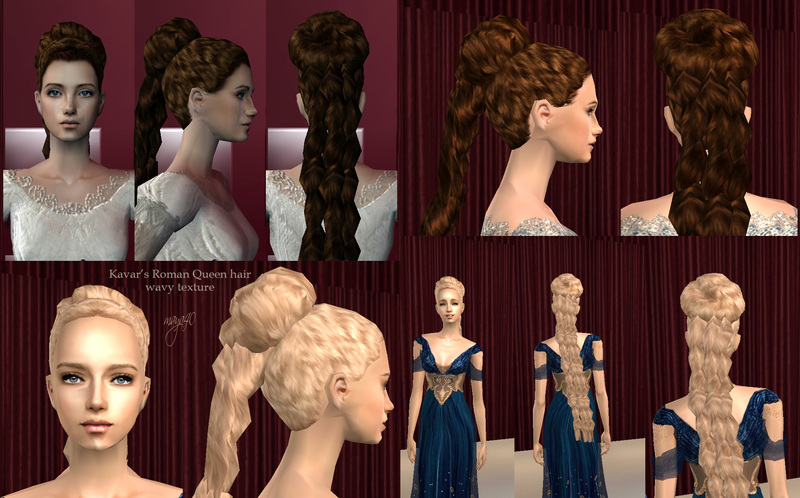 I've tried many hairs, but finally Sussi "Queen Sylvia" became the right one. Unfortunately my re-editing is not the best. The old and tiny detail of the hair remained on both sides of the face. But - I hope - acceptable. 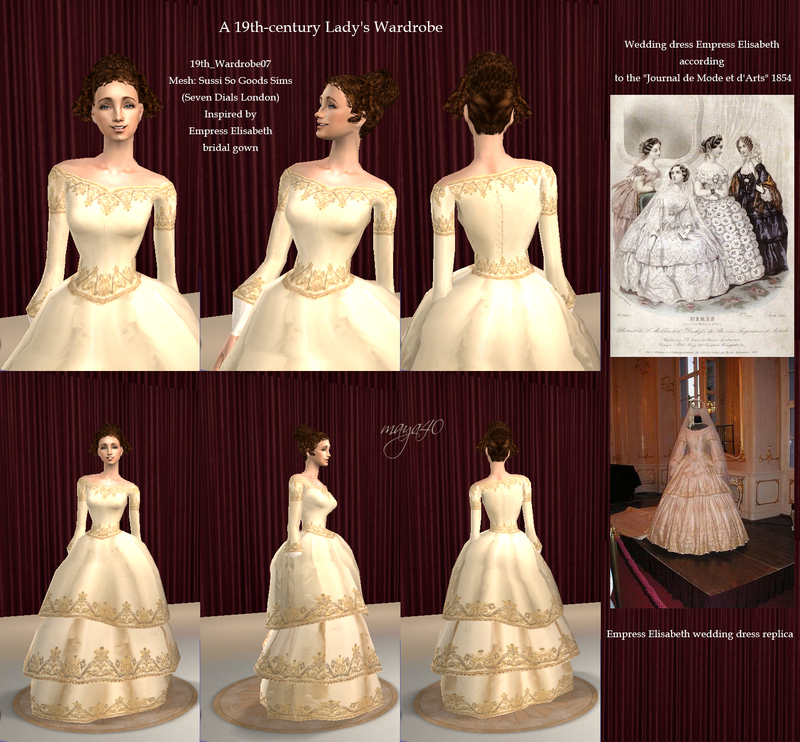 So now I release Elizabeth, the Bavarian princess, the Austrian Empress, the Hungarian Queen (etc.) 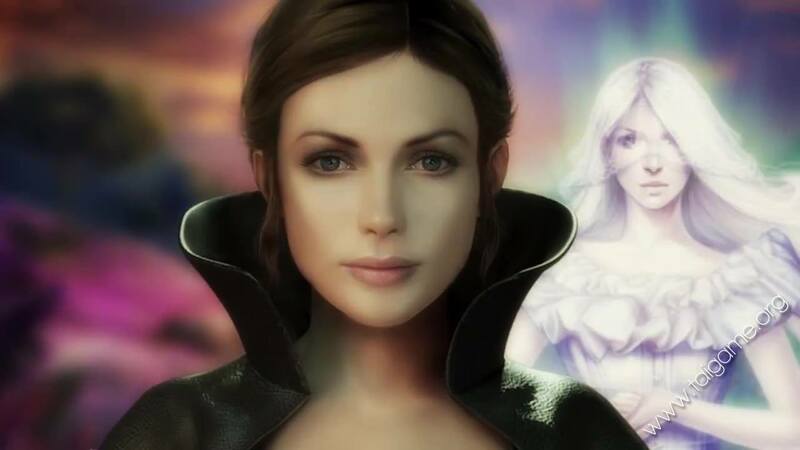 who would be happy to see her in the game. 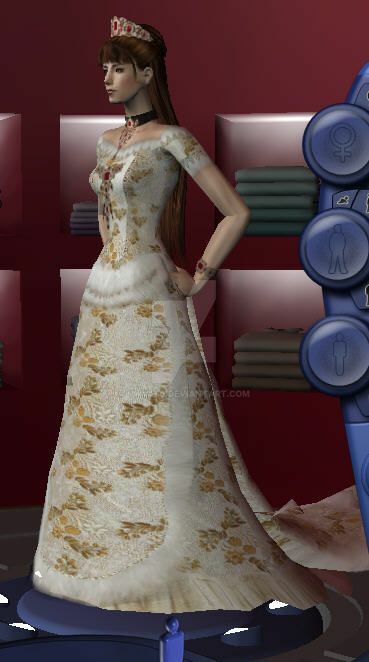 Like a monarch's wife, or just a charming lady. 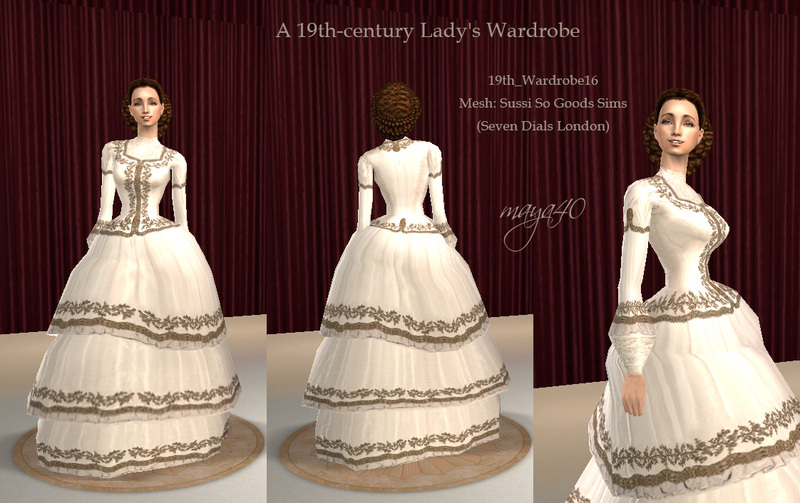 A 19th century lady's Wardrobe - part 2. 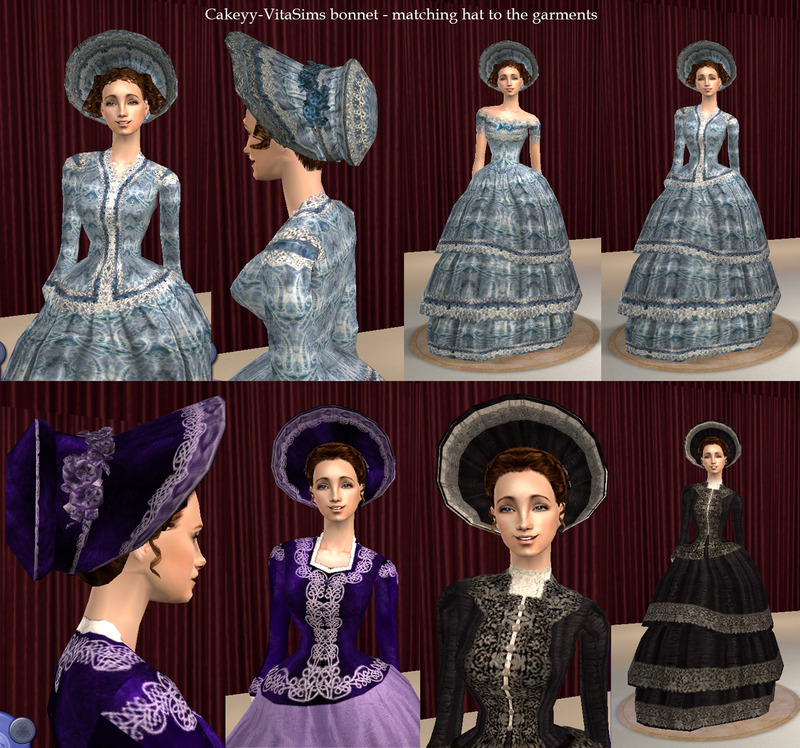 I really like the Victorian women 's hats. 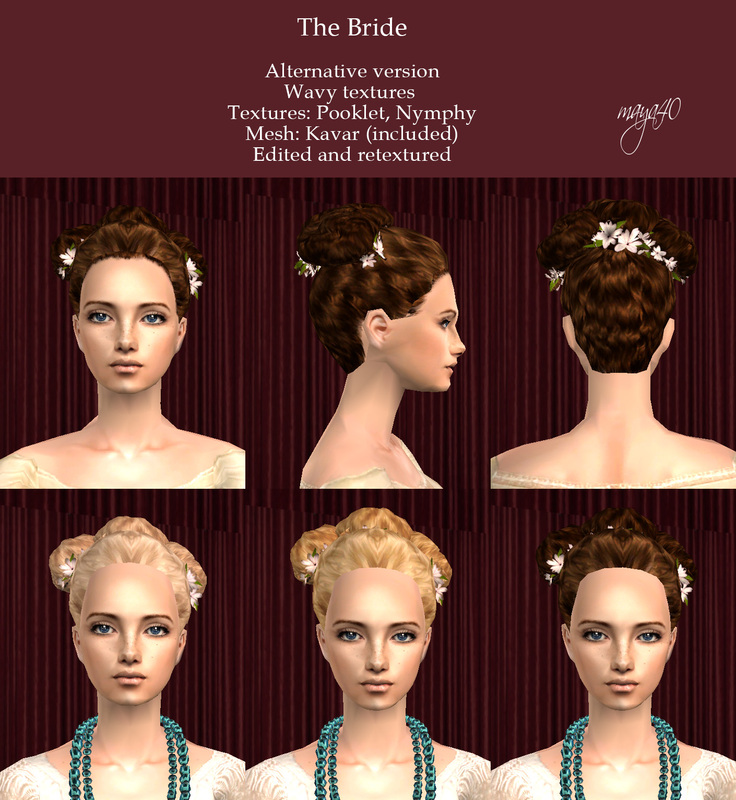 The VitaSims hat-hair was separated and converted into an accessory by CupCakeyy. 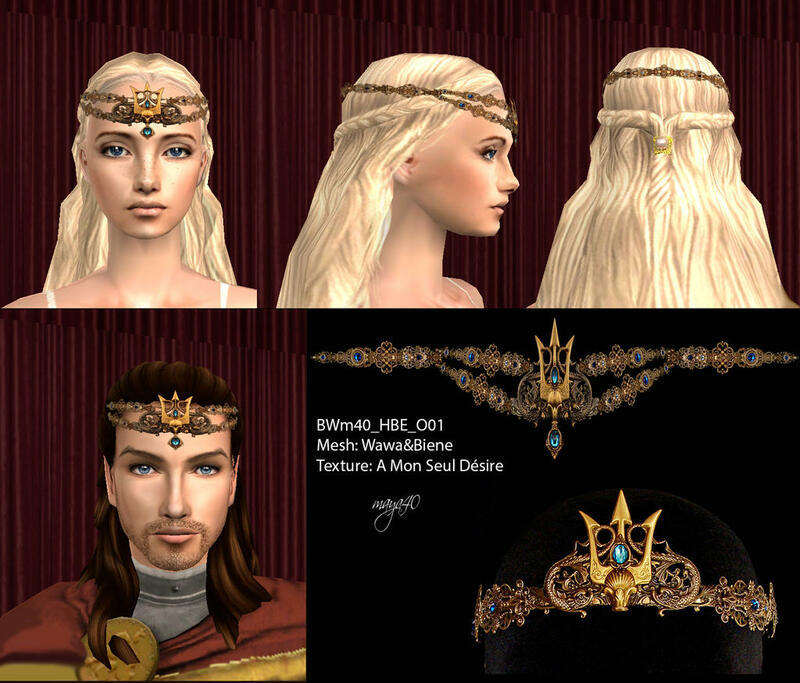 These hats were i made for the accessory version. You'll find them under the Glasses. Simple, flower-decorated straw hat and elegant velvet and silk hats with ribbon decorations. Some of matching to the Sussi crinolines. 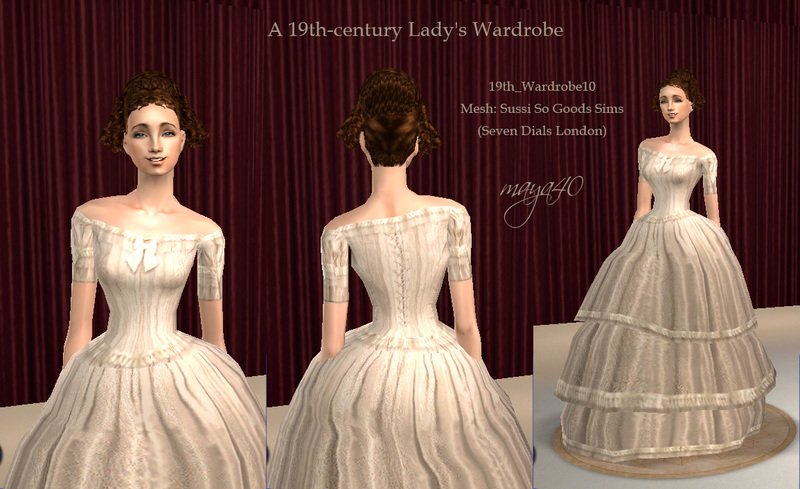 Victorian lady with uncovered head? No way! My second job is a home bonnet with ribbons. The mesh was made by Dedital Sheep. Unfortunately, his side no longer works, so I put the net and his original creations into the package. No young adult and older version! 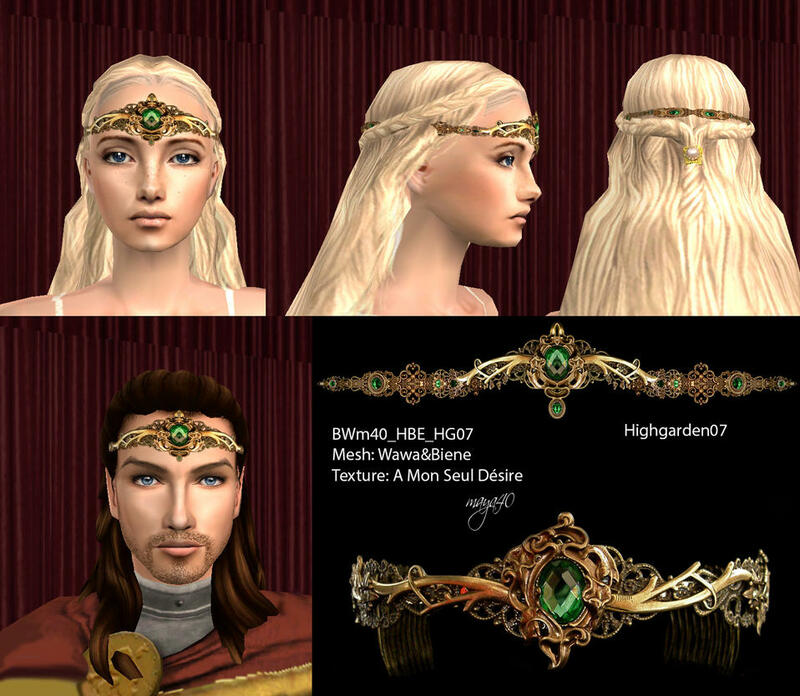 The wreath was the favorite headdress of the era. 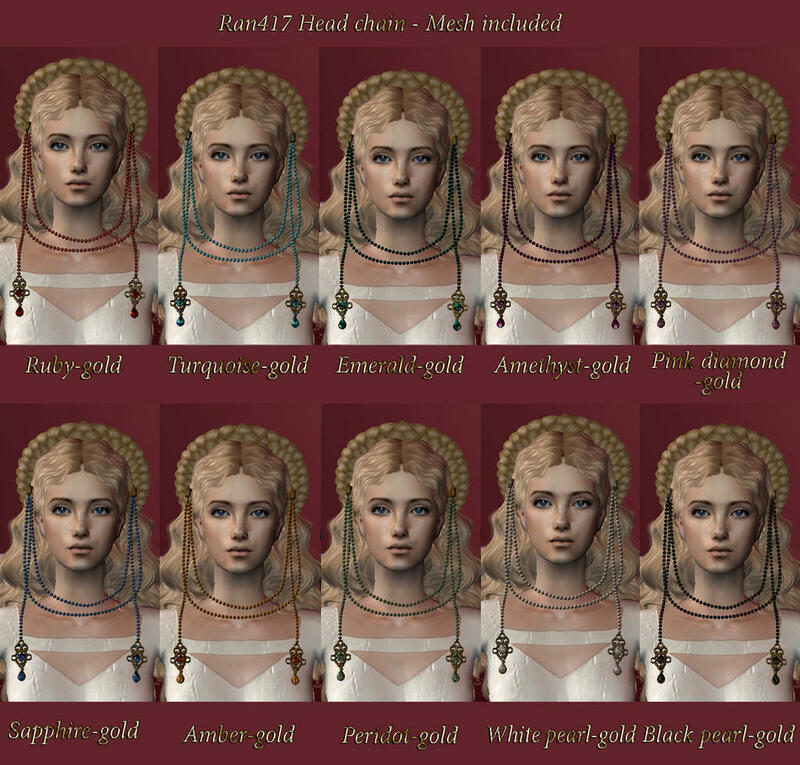 I've made versions for Cynnix TSM's wreath. Colorful flowers, myrtle, orange flowers. I found the mesh on Plumb Bob Keep. 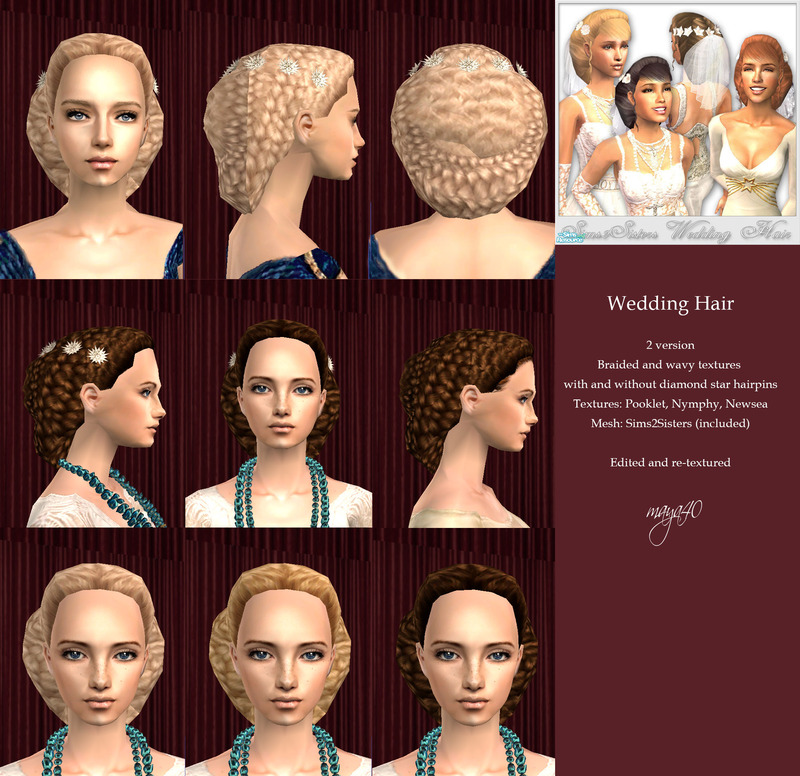 The veil in the picture is the work of Peggy Sims, not in the package. I have to admit that I didn't like the old mesh for a long time. Alpha nets are more attractive. But Sussi Friberg made such excellent crinols that I couldn't miss the opportunity. 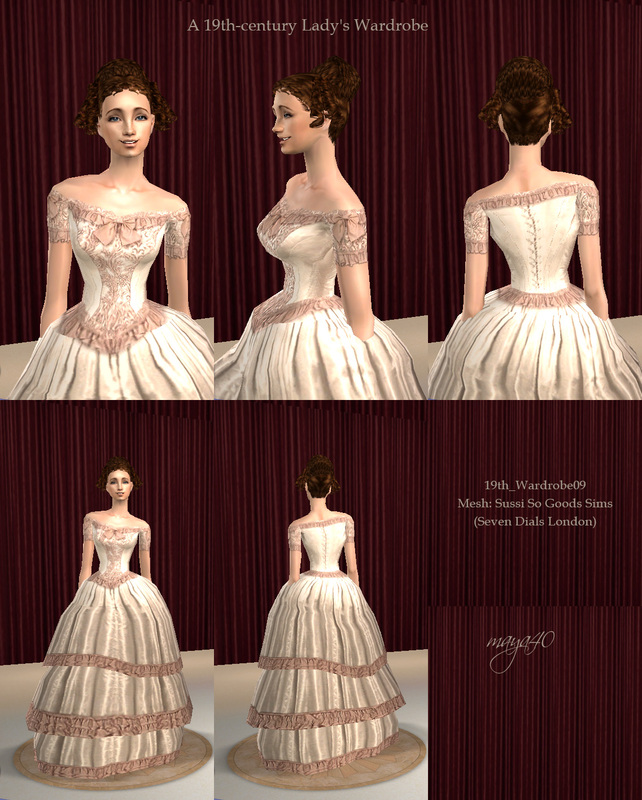 Great body shape, absolutely perfect, Victorian bodice. 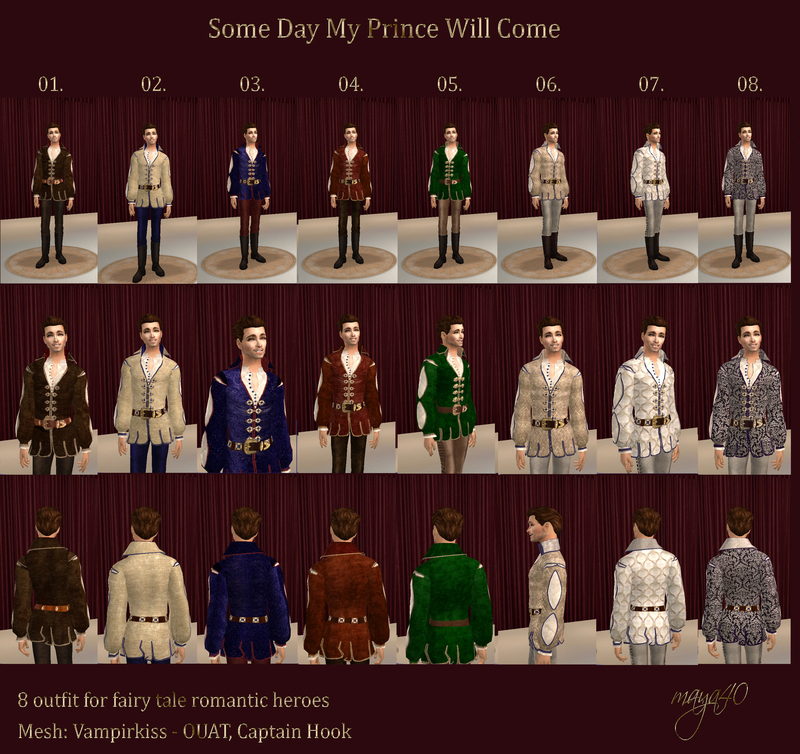 I made clothes for two versions. One has no sleeves. 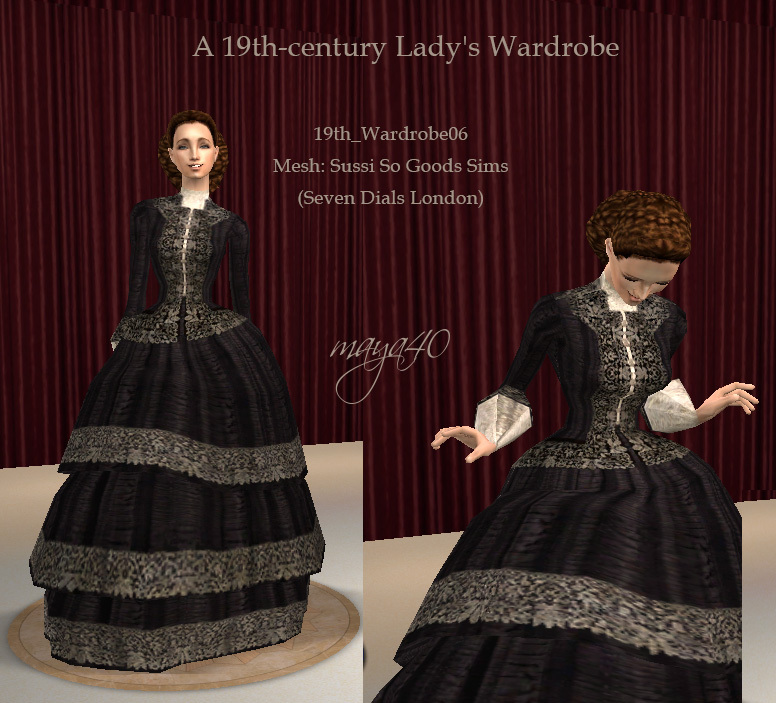 This is great for ball clothes. The other is more casual attire. A total of 16 clothes. I hope you will love them. I attached the meshes. But you can find them here if necessary. 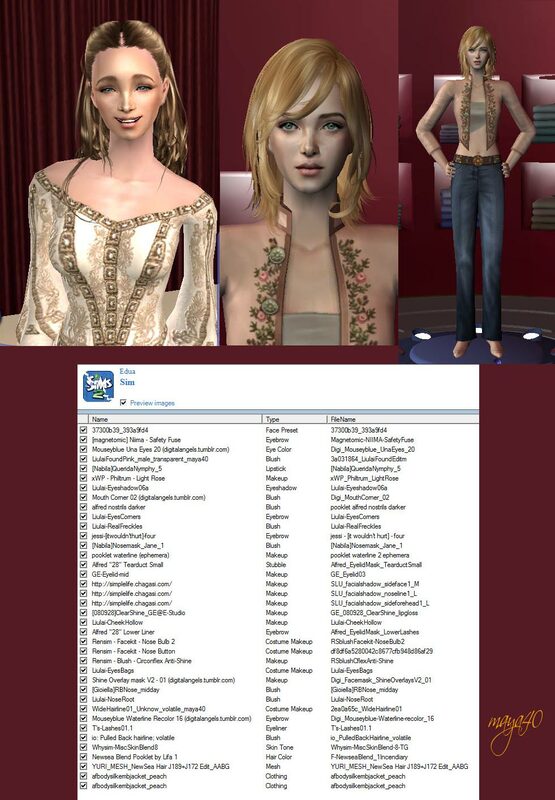 Thanks to Sussi for them, and the Mod the Sims website to keep them safe. 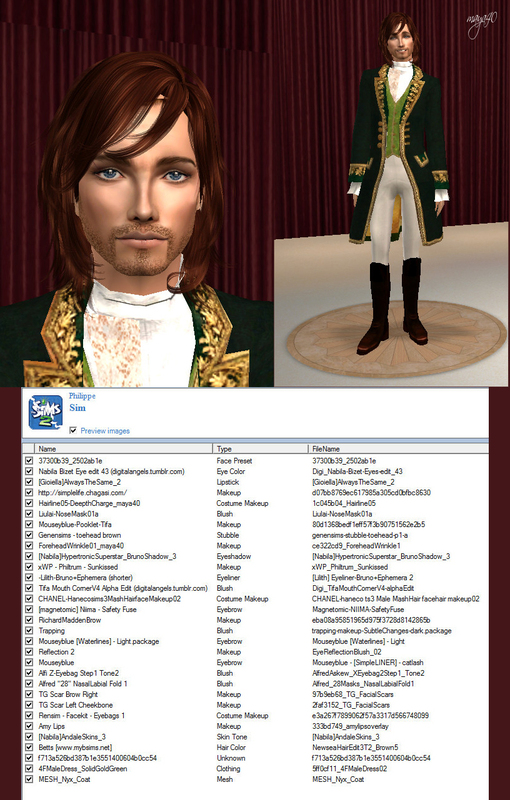 Mesh in the Sim File Share album! Okay. This is not easy for me now. We have a personal relationship. 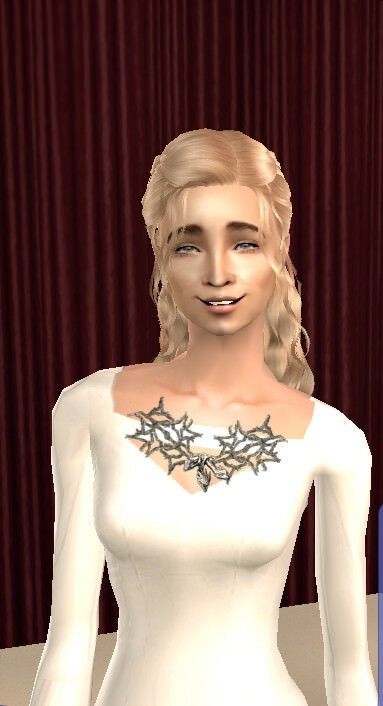 Of course, you get a lot of pleasure creating a sim character. But don't to exaggerate stupidity. She's not alive persons. 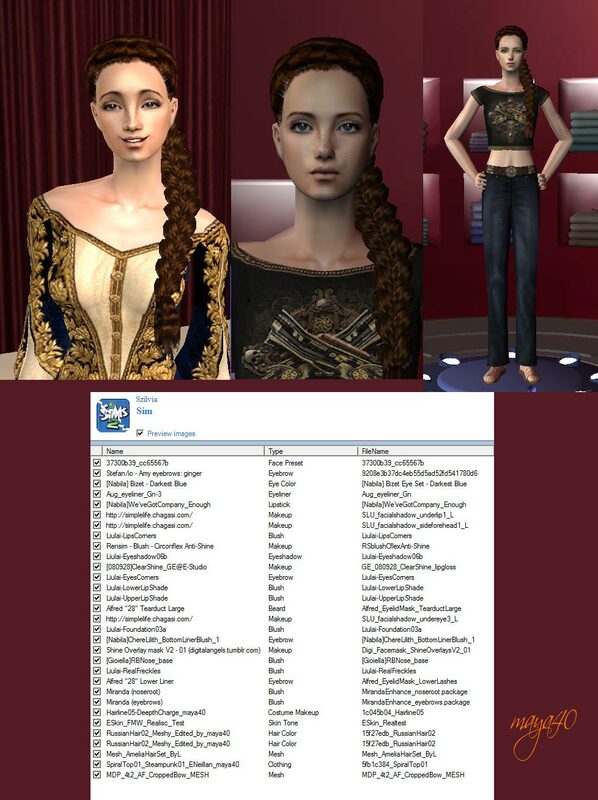 I always make a "backup" copy of my sim characters. That is why I decided to offer some of them i "for adoption"
A heroine of a wonderful story inspired. 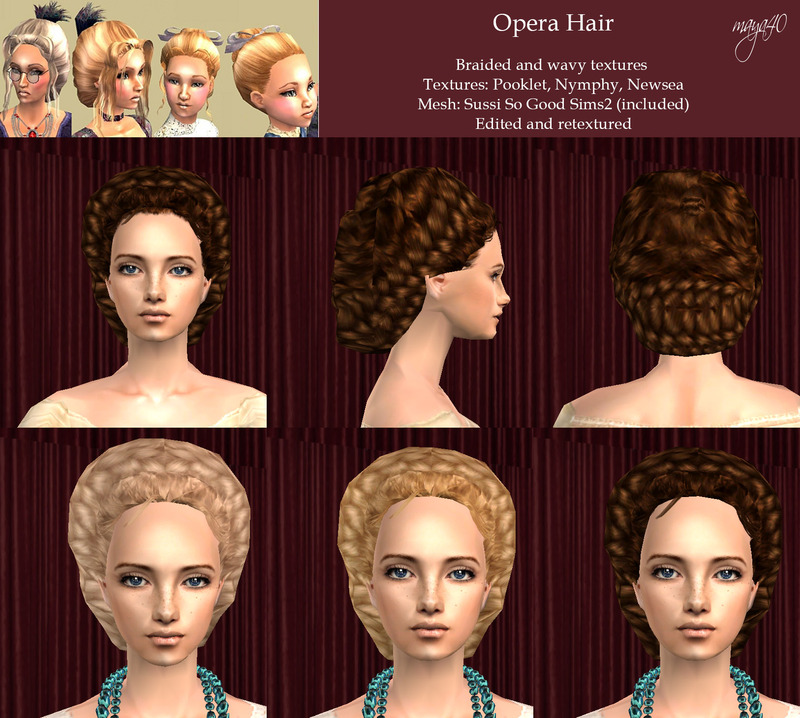 It's actually a HOPA game, from the 4 Friends Games. 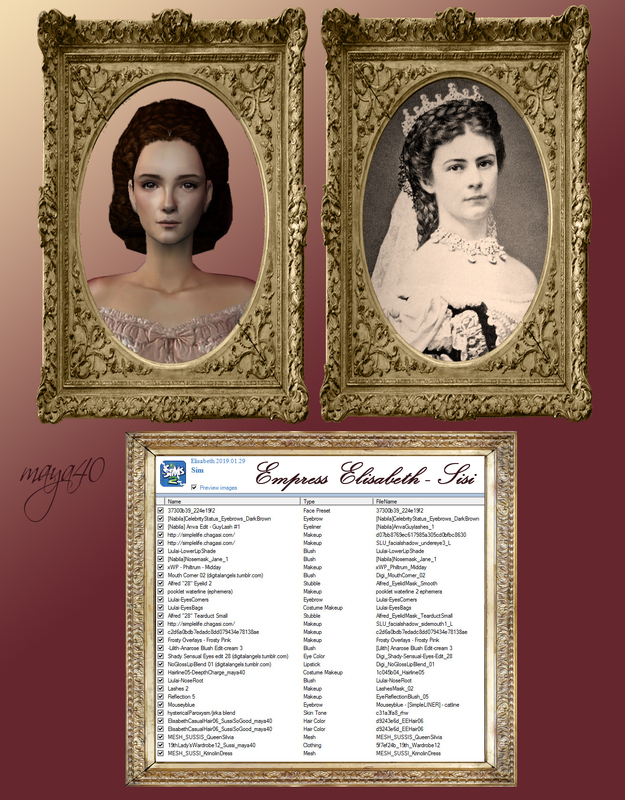 The title is Immortal love - Letter from the past. Love, vicious machinations (contract's the devil), fight for freedom, happy end. 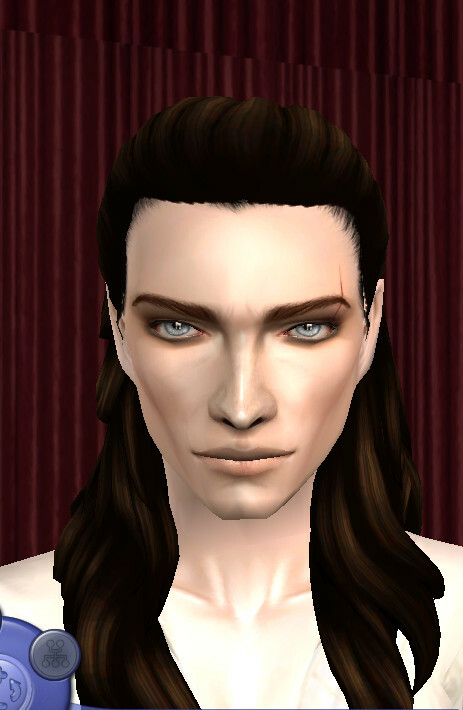 He was originally Sansa Stark, but he was became independent at the Body Shop. By the time I felt it was perfect now, it was not Sansa. When I asked my younger-brother, what she called this girl. The name Édua really likes it. Medieval origin. The meaning: The Moon Rises. According to a legend, a name from a kun (cuman) tribe-derived girl, for which a Hungarian king dropped his Christian faith. The king was later killed. 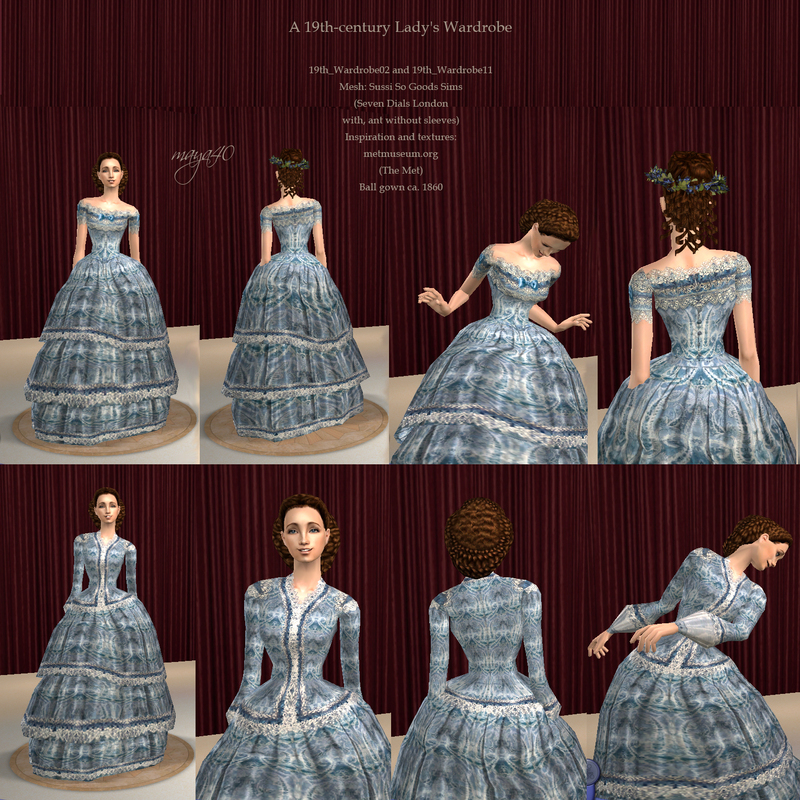 The history of my Édua other. Nobody died for her. My brother is also his "godfather". This is an excellent lady. Flirty and confident. I've heard you have a husband in Vienna! We're on the train, we're going! Let's go, let's go, let's go, go to Szabadi"
I did not originally want to keep him. It was a random design because it needed a face to show Chinese wigs. 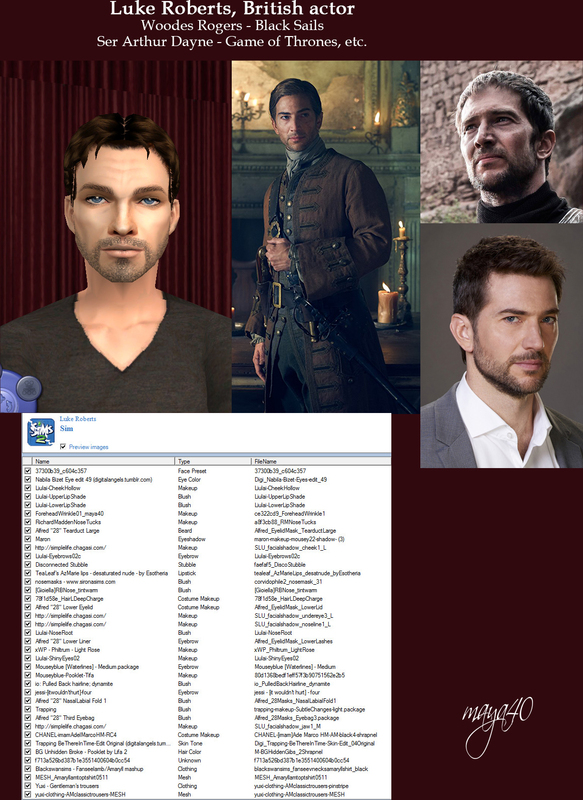 Not long ago, looking at the photos, I put him in the game. 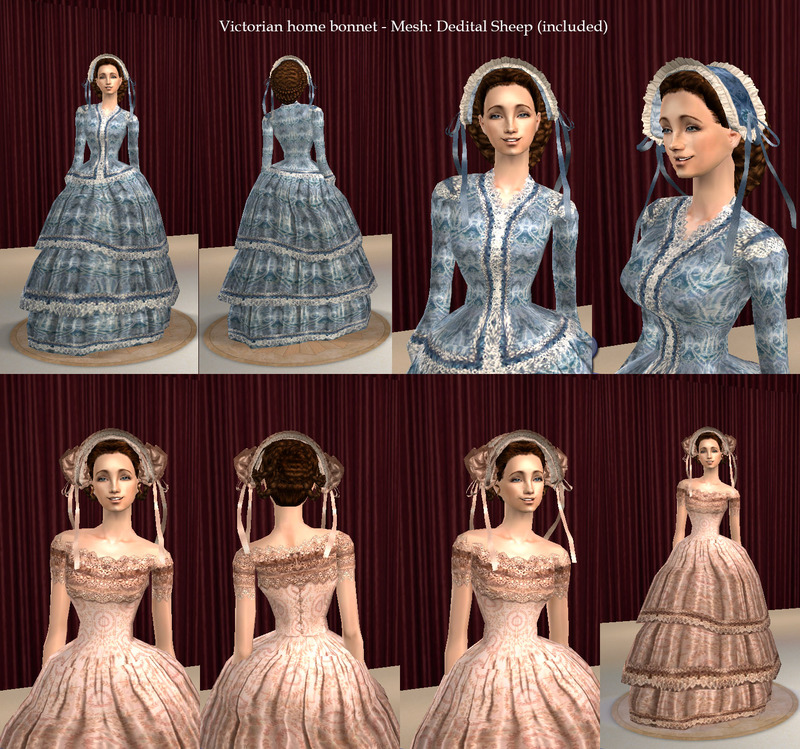 I refined it with the new custom sliders, so she became a victorian lady. She is Sylvia's sister. 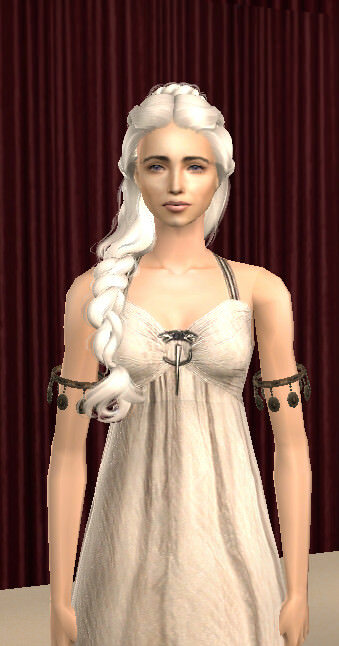 It was also a version of Sansa Stark. And it was also transformed into someone else. 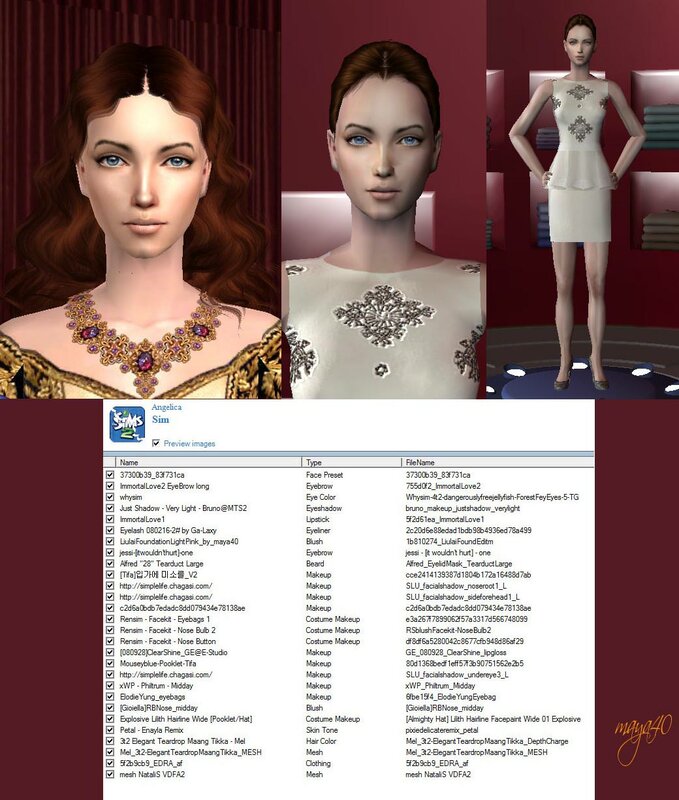 In the summer of 2017, I published a request on Sims Cave. 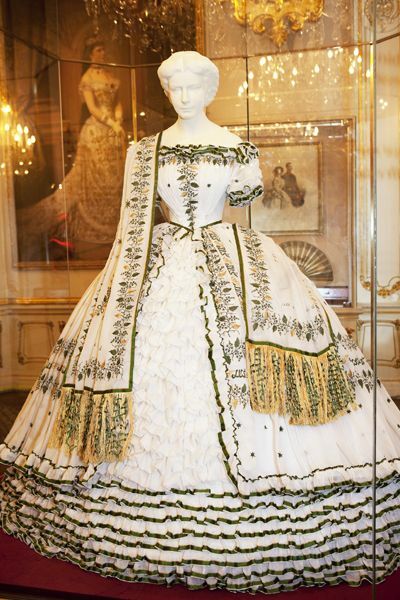 I like a mesh, a separate, crinoline-type (hoop) skirt. A few days later, JulieJ replied. He used Yana's alpha mesh, for which I was grateful for her. This is how the creation of this collection began. 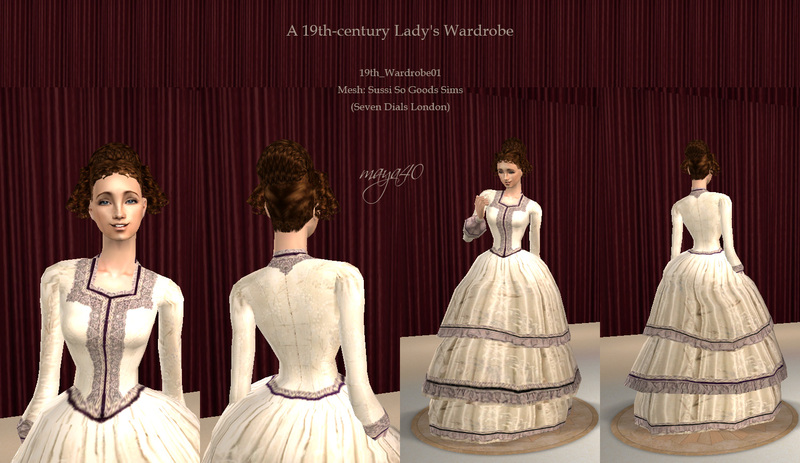 Because I need blouses for the skirt, a long research has begun. I tried many meshes. Finally, 5 were appropriate. The first, my favorite, is a separate jacket from a H&M suit. A bolero coat. Amaryll made it. 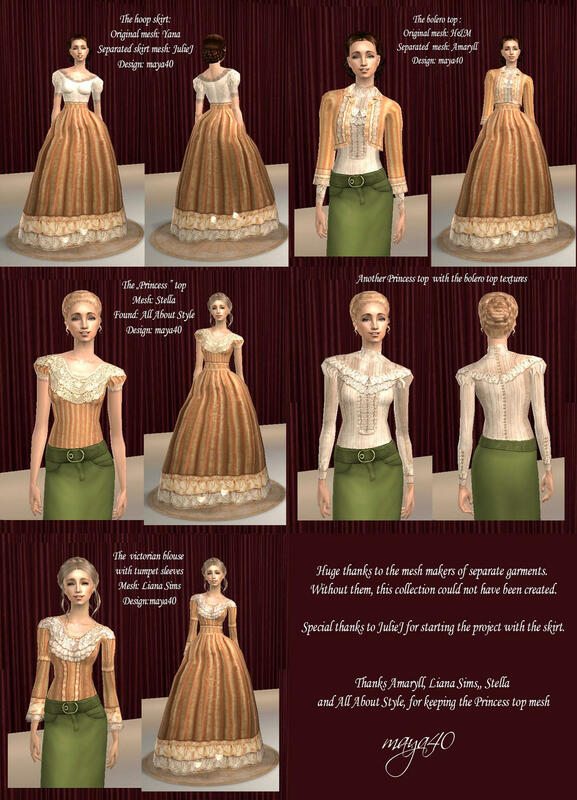 Excellent for walking dresses, for victorian ladies, or southern belles. 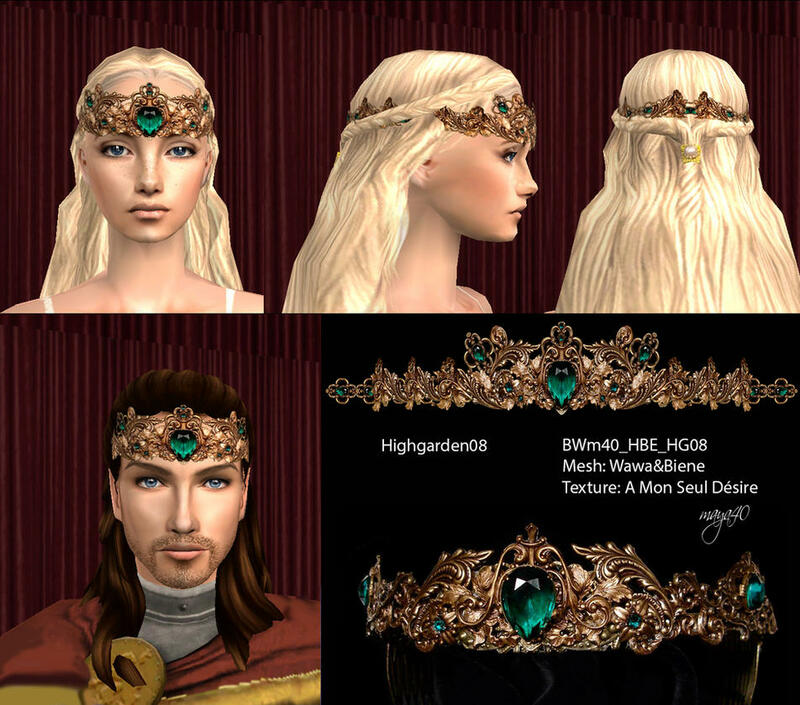 The second is the eternal master, Liana's work. A trumpet sleeve with sleek top. Absolutely victorian. 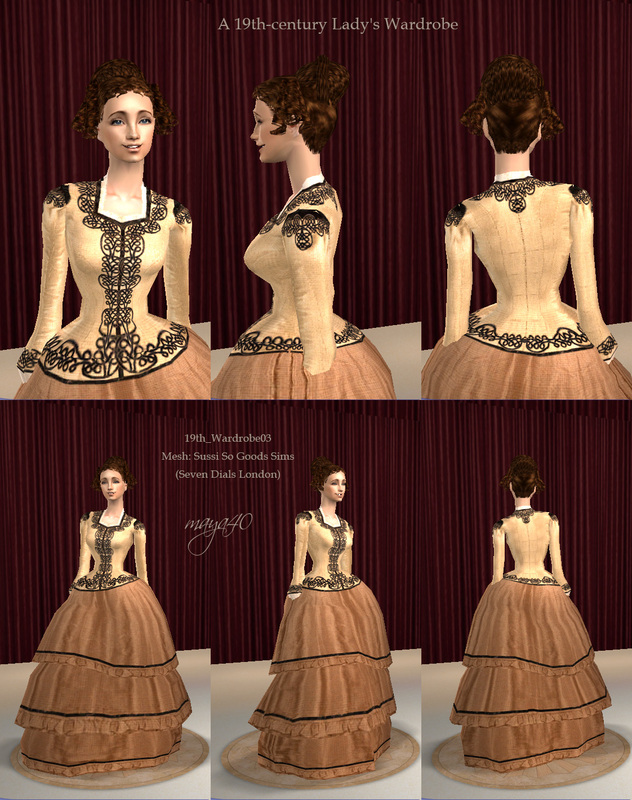 At that time I still work on two blouses. When they are ready, they become part of the wardrobe. 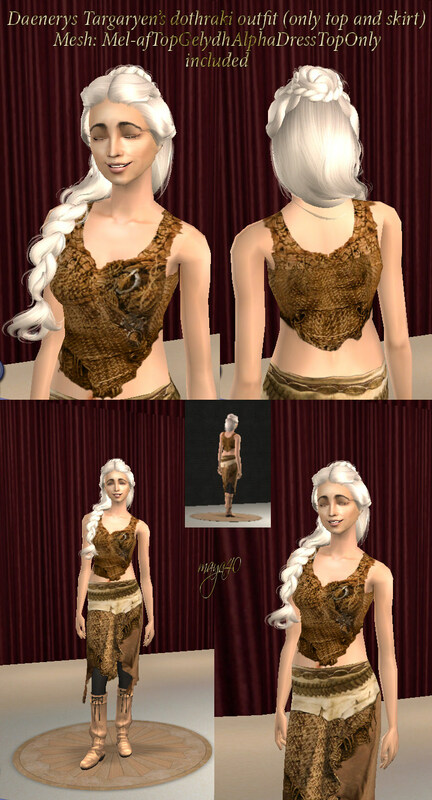 Huge thanks for mesh-creators, and special thanks to JulieJ for starting the project with the skirt! Each package contains the mesh! 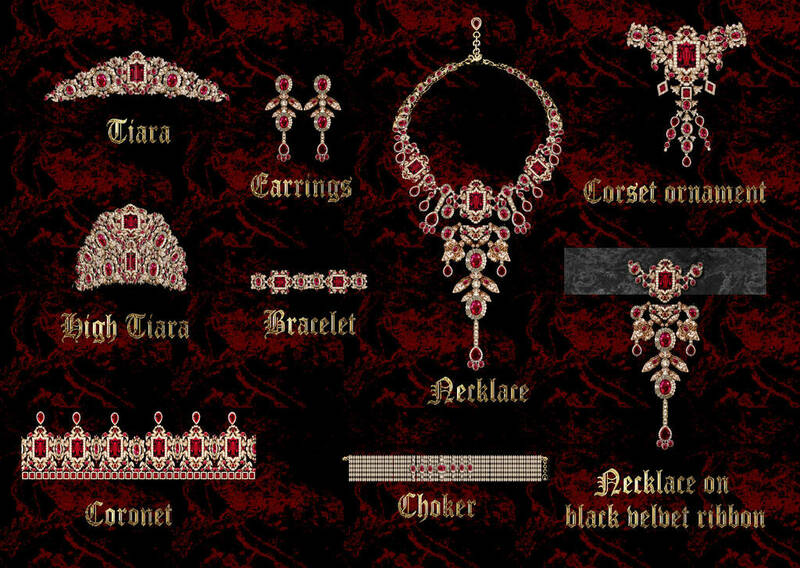 There will be, of course, a range of accessories. 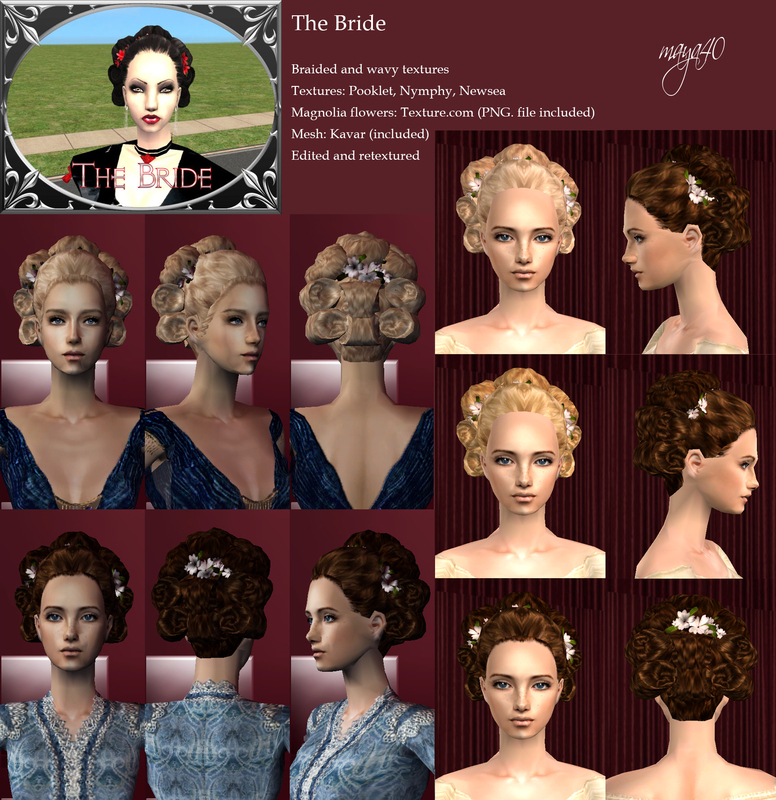 Cakeyy's great work, the bonnet, made by VitaSims hat-hair. 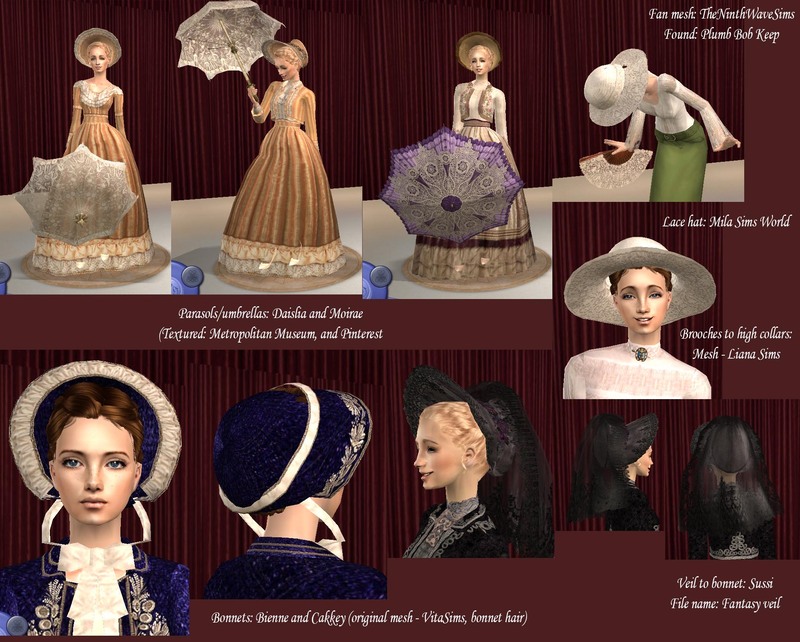 Biene's victorian bonnet. Using a summer hat with Mila's creation. Beach umbrellas - thanks to Daislia and Moirae. 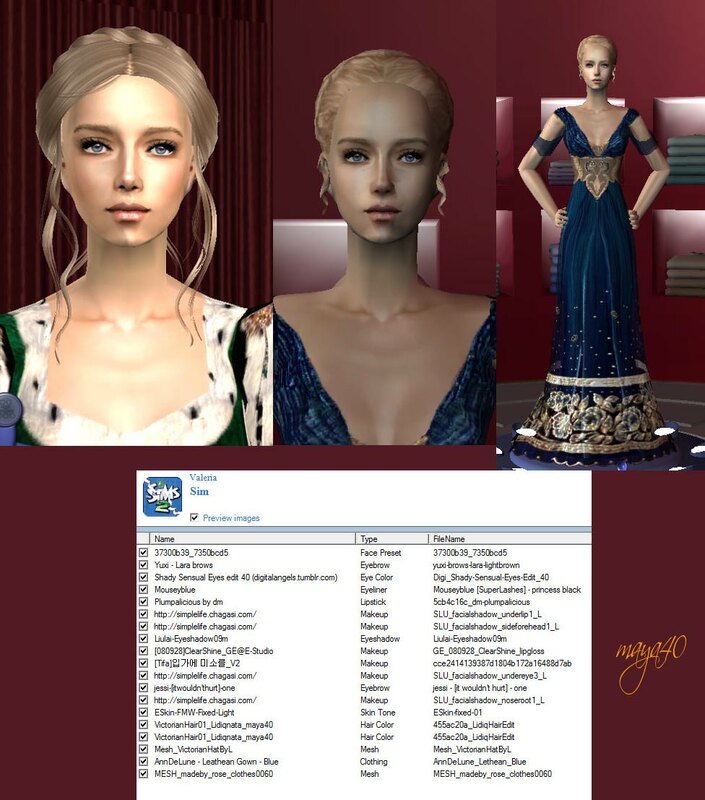 Fans - TheNinthWaveSims, - veils - Sussi, - and brooches - LianaSims, and PeggySims. Fur trim and jewelery belts. 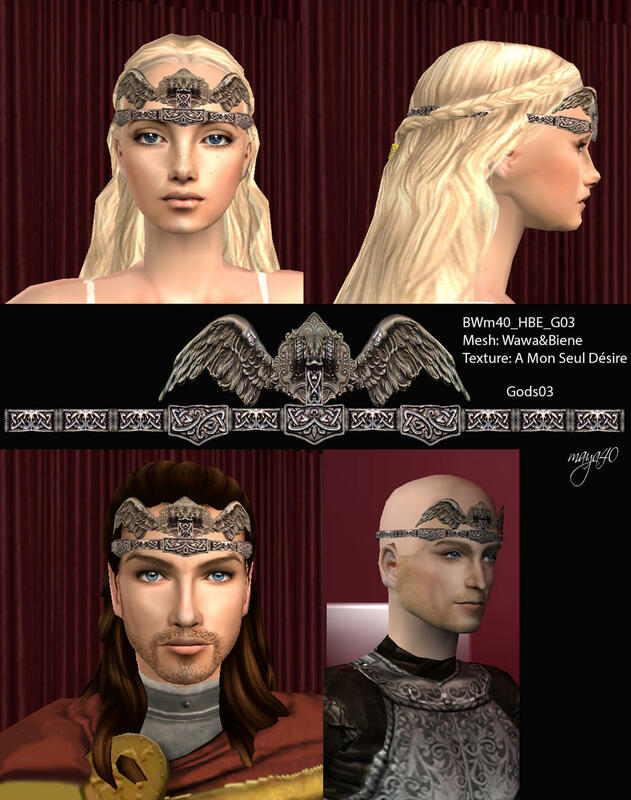 The mesh was found in the 2017 Halloween Gift of the Sim Angeles Forum. Created by Dreamcatcher. 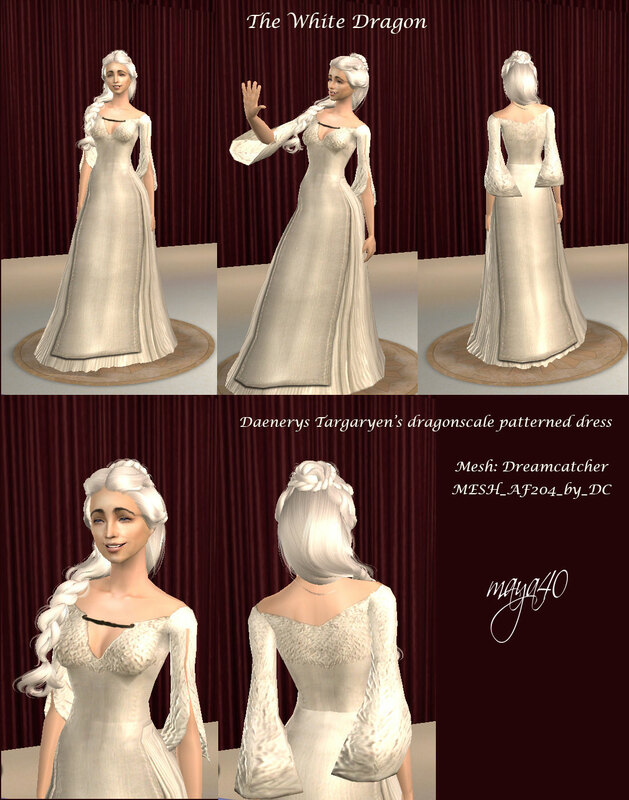 Daenerys Targaryen. My second favorite character in the Game of Thrones TV series. For some clothes and accessories. 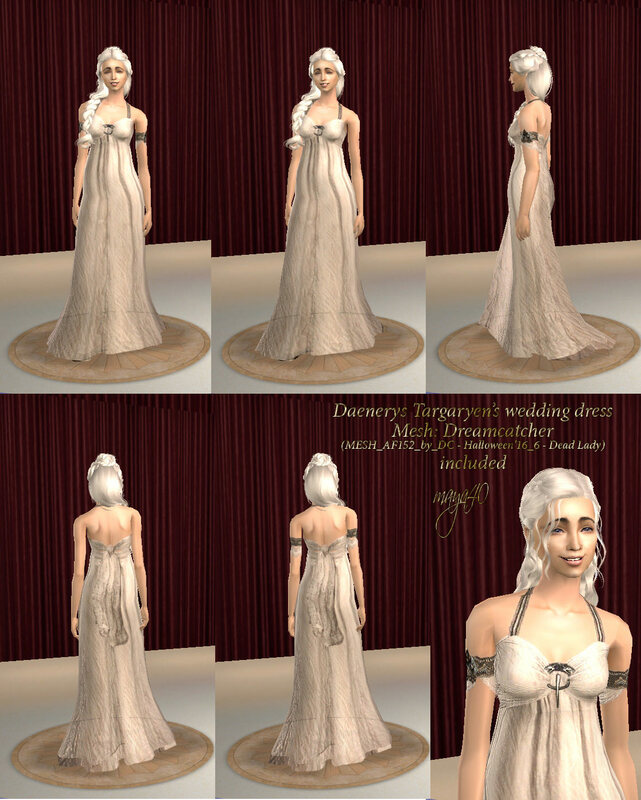 Wedding dress 2 version - with and without armband texture. 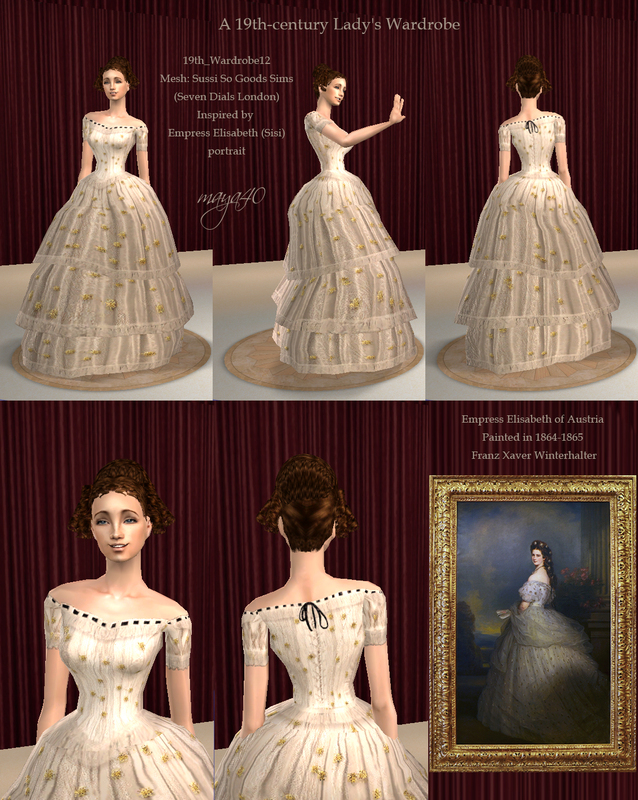 You can find Dreamcatcher (Anactacia) creations at the Sim Angeles Forum. (Sorry, I could not separate the set. I do not know far-east punctuation. 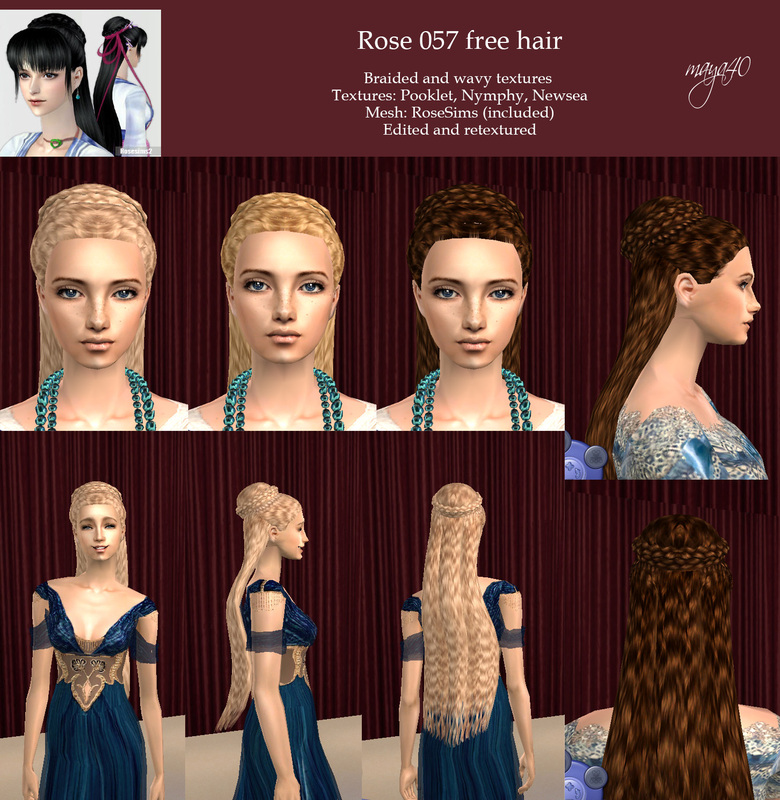 The Westeros ladies hairstyle is quite complicated. I wanted to return the spectacle of the series. 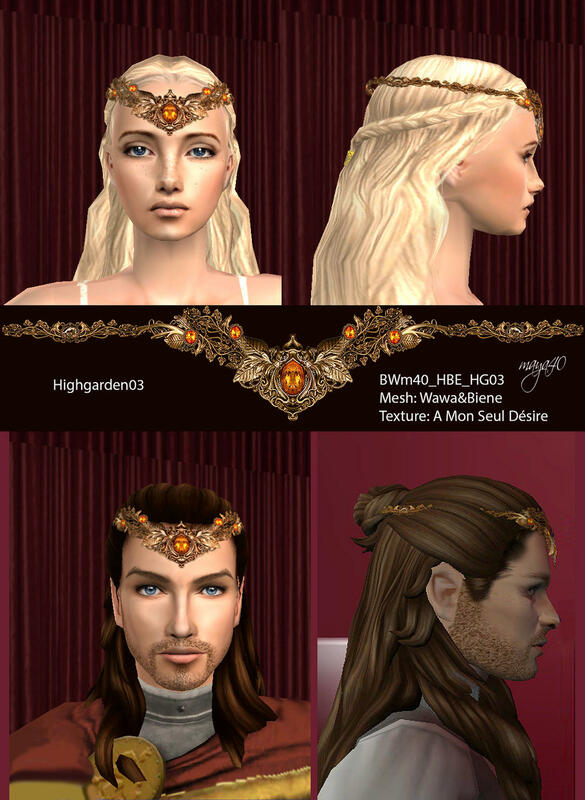 That's why I created some hair accessories. 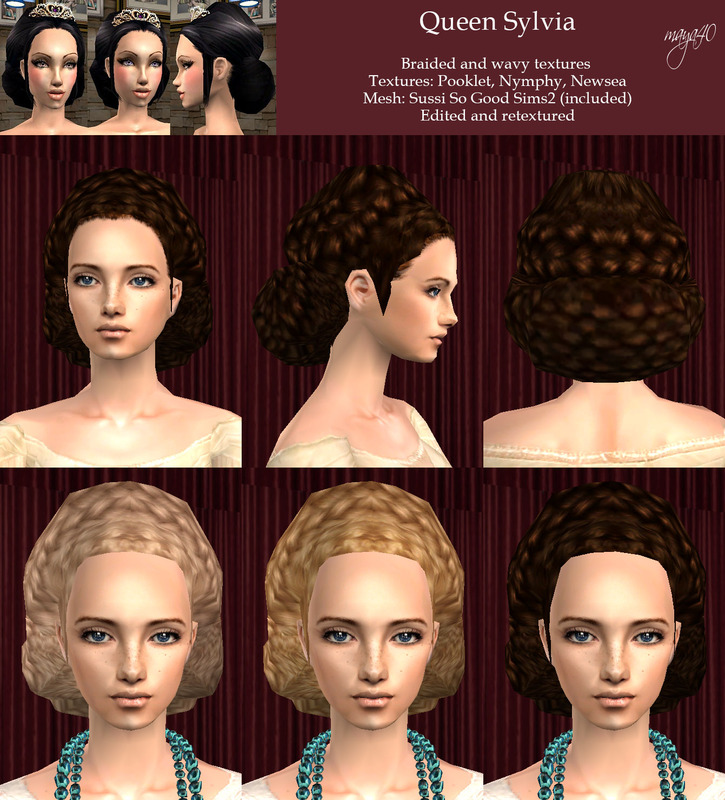 These are the Chinese historical wigs meshes. 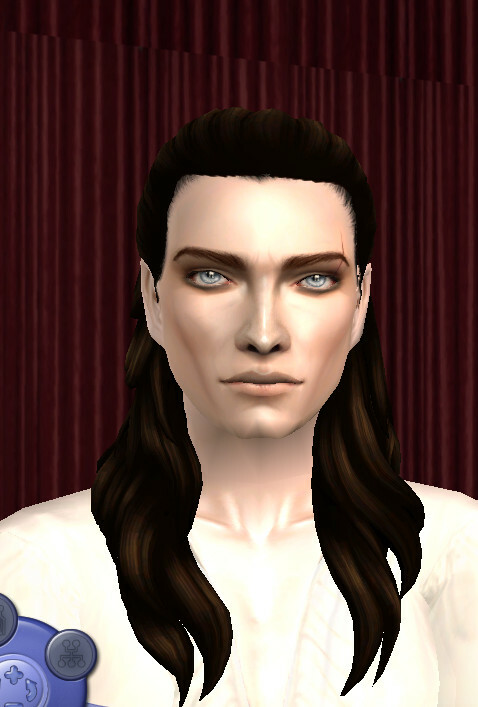 There was also a need to re-edit some hair. 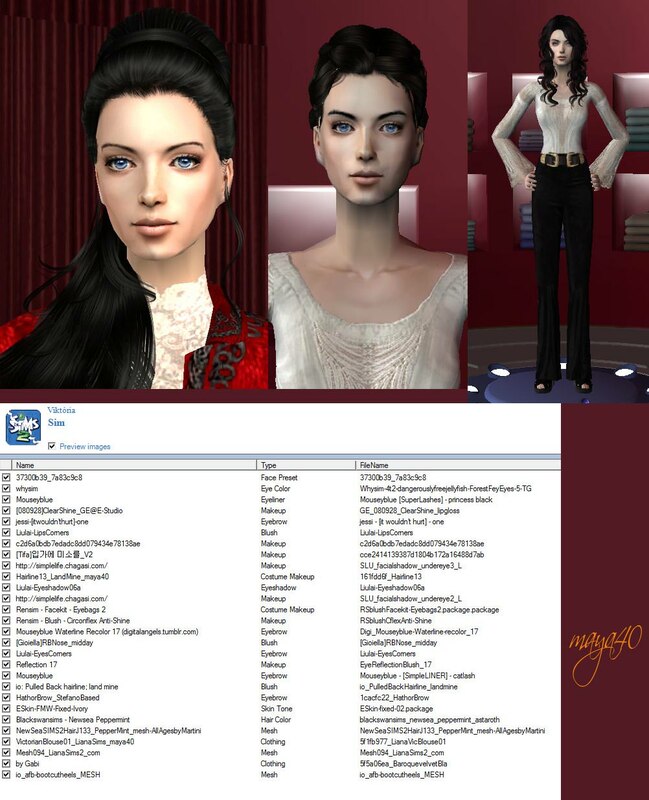 Here is the list on which the original meshek can be found. Soon I'll bring edited versions as well. 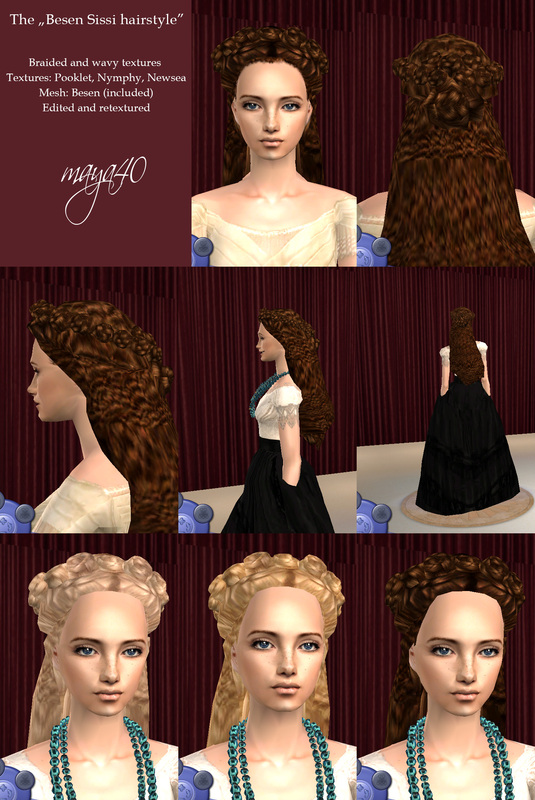 Since I can not encode my creations, my haircuts are displayed in the "Custom hair" section at Body Shop. 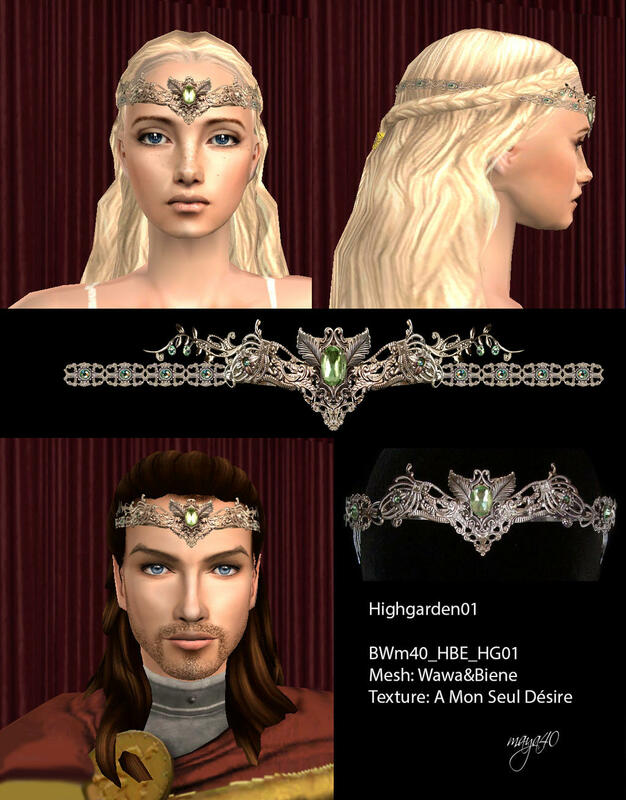 Anyone who has downloaded the supplies, delete the "BieneHeadbandEDITED" package. 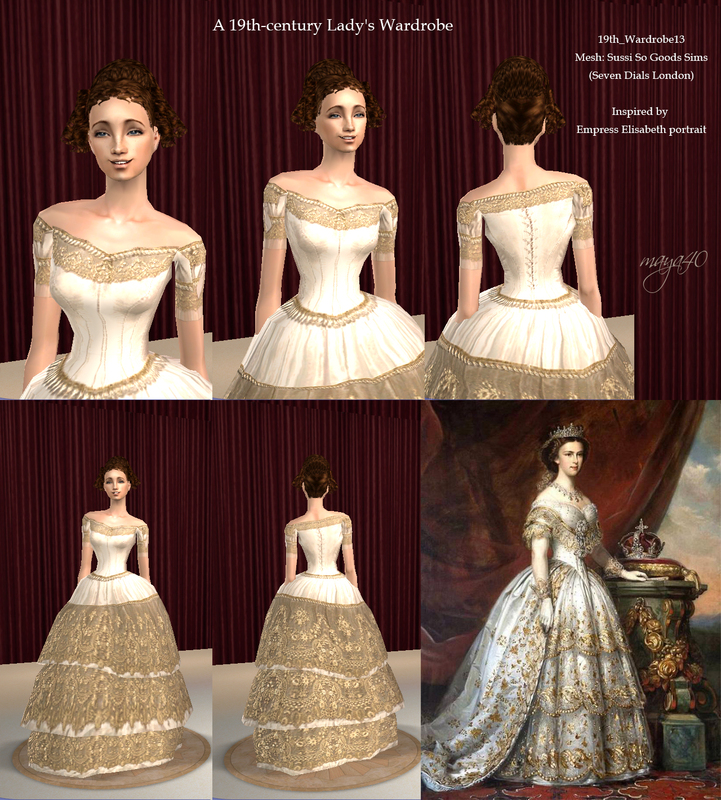 Special thanks to Dreamcatcher for gown's meshes! For accessories, Wawa made meshes. I would like to express my thanks for this too! I'm sorry I forgot these. But they were long ago made. But maybe they'll make somebody happy too! 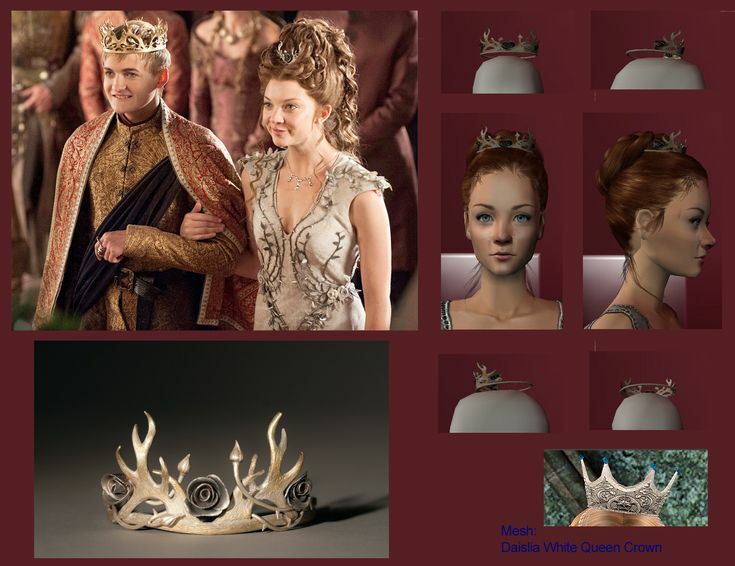 Margaery Tyrell's wedding dresses, necklaces and crowns. A half wall with a high wrought-iron decoration on top. Please help! I'm looking for a half wall with a high wrought-iron decoration on top. The half wall and the decoration together are a full height of the wall. It was part of an installed building. It's lost because my game crashed. The description is in German-language. I've been searching everywhere. 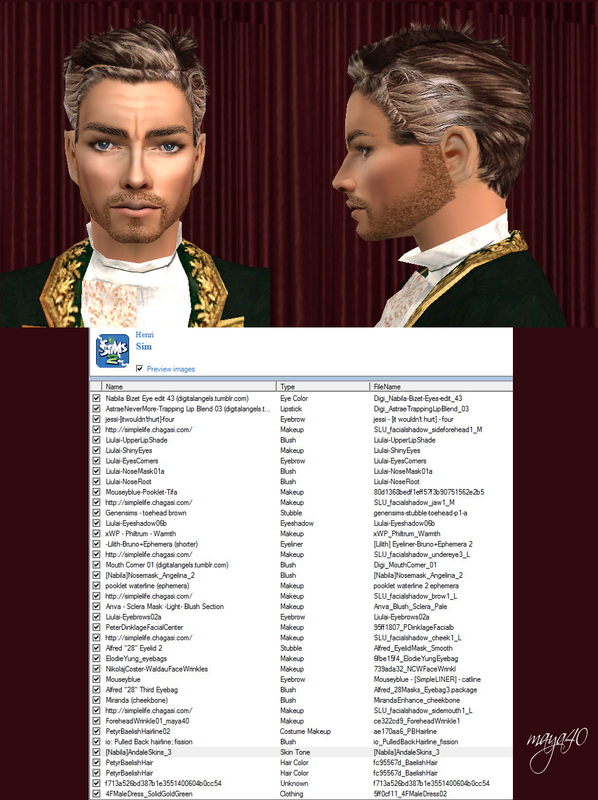 On all German Sims 2 sites, and more than I remembered. This is a very useful architectural element. Wrought iron is really beautiful, classic style. Wawa made a great new mesh based on Biene's original accessory. 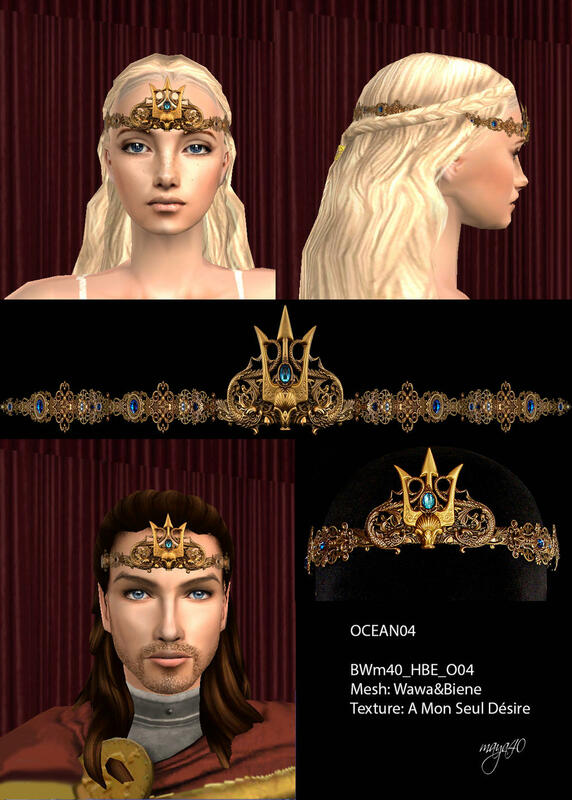 The new headband tiaras are already male and female versions, from teenagers to old age. The textures i continued to use the masterpieces of A Mon Seul Désire. 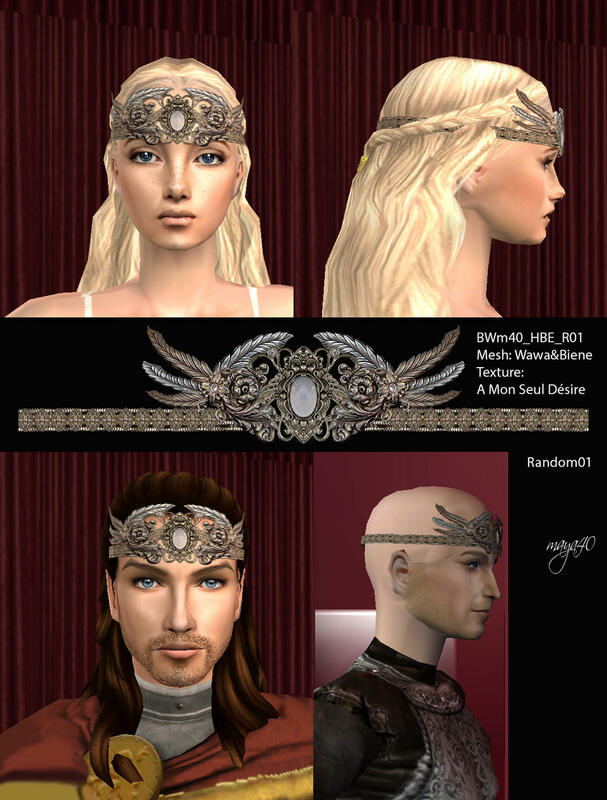 The package also includes the png version of jewelery. The mesh file is NOT attached! 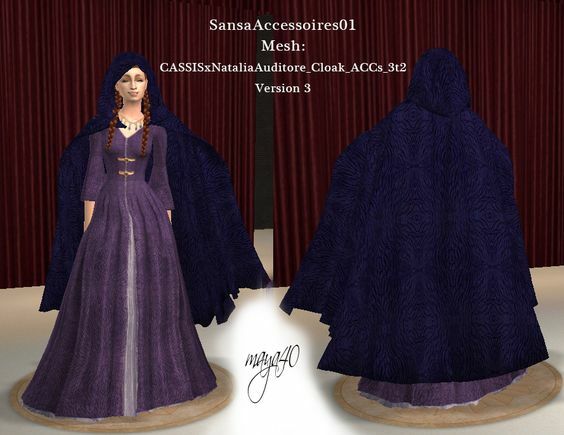 Sansa Stark's wardrobe and jewel box.